Certification: Comply with GB/t4207-2003 test standard. Work power: AC220V, 50HZ; The total power is 2KW. Is suitable for lighting equipment, low-voltage electrical appliances, household appliances, machine tool electrical appliances, motor, electric tools, electronic instruments, electrical instrumentation, information technology and equipment of the production, research and quality inspection departments, can also be applied to insulation materials, engineering plastics, electrical fittings, accessories industry. Using rectangular platinum electrode, the force of the two poles was 1.0n plus or minus 0.05. Voltage in 100 ~ 600 v (48 ~ 60 HZ) between the adjustable, short circuit current at 1.0 + / - 0.1 A when voltage drop should be no more than 10%, when the test loop, the short circuit when the leakage current is equal to or greater than 0.5 time keep 2 seconds, relay action, to cut off the current, the sample (s) indicating the unqualified. 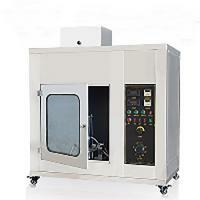 Comply with GB/t4207-2003 test standard. It has the characteristics of reasonable structure, beautiful appearance, corrosion resistance, simple operation and accurate control. 1, the electrode: two cross-sectional area is 2 mm x 5 mm rectangular platinum electrodes, side edge to 30 ° incline. 2. Surface force: 1.0N + 0.05 N.
3. Test voltage: adjustable between 100 V ~600V (48 ~ 60HZ). 4. Maximum test current: 3A. 5. Two electrode distance: 4.0mm. 6. Short circuit current is less than 10% when the current is 1A + 0.1a. 7. 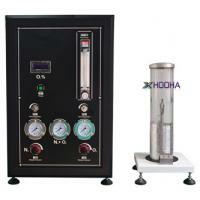 Drip device: the drop time interval can be arbitrarily set, the drop height is 30mm- 40mm. 8. The distance between electrodes and pallet height can be adjusted. 9. 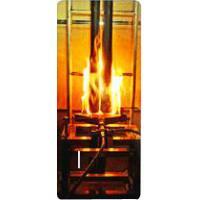 Electrode material: copper + platinum (the platinum purity meets the standard requirement 99%). 10. 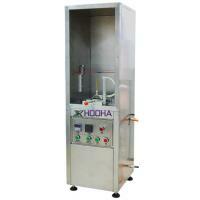 Test case volume: 0.5 m3, the machine box is made of high quality stainless steel. 11. Dimensions: L1130 mm * 630 mm x H1305mm. 12. Work power: AC220V, 50HZ; The total power is 2KW. 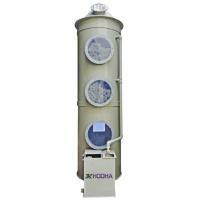 The equipment is guaranteed free for one year, the maintenance project is maintenance for the whole machine. Free technical consultation, software upgrade and other services. Provide regular inspection service to deal with abnormal conditions of machines. Customer service response time is within 24 hours. The warranty period still provides extensive software and hardware support and services. 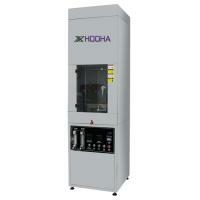 HOOHA Co., Ltd. Was established in 2015. 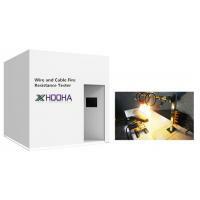 HOOHA CO., LTD. Is collection of wire and cable factory build, cable raw material supply, cable equipment layout, cable factory operations, cable technology export, cable manufacturing workers training, cable testing laboratory construction group company. 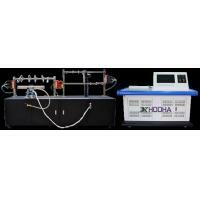 (DONGUAN GEMYOUNG wire and cable equipment Co.,Ltd was built in 2003) as HOOHA branch and comprehensive enterprise integrating the manufacture, sale and export of wire & cable equipment,fireproofing material test solotion,wire and cable testing lab solution. such as all kinds of cable extrusion lines, cable twisting bunching machines, cable coiling machines, and wire drawing machines. 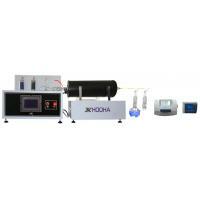 and fireproofing material test machine,wire and cable testing lab solution machine. 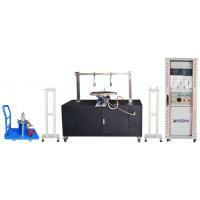 We have rich experience in designing and making wire and cable machinery, test lab building experince, Especially, we are good at customized design, technical solution and manufacture. all products design fellow international standard ISO, ASTM, DIN, EN, GB, BS, JIS, ANSI, UL, TAPPI, AATCC, IEC, VDE, CSA,CEN and so on. We have established favorable relationships with many worthy customers around the world. Our customers are from China, North Africa, the Middle East, South Asia and South America. Consequently, our products are popular in domestic and international markets. Our object is "to base upon honesty, sell excellent quality, and serve for customers". We sincerely look forward to establishing cooperation with you in the future. Huifu Science park,Houhu road NO.38,Humen Town, Dongguan city,Guangdong Province. Xifang road NO.105,Beice,Humen town,Dongguan city,Guangdong province. Chongkou Industry park,Houjie town,Donguan city,Guangdong province.